The Coast Guard has rescued a man after his 24-foot fishing vessel capsized. TV reports that the 56-year-old man, who was wearing a life jacket, was brought to safety. The seas were reported to be at seven feet when a wave swamped the man’s vessel about 12 miles west of the Harbor. A MH-65 Dolphin helicopter crew responded after the Coast Guard received an emergency position-indicating radio beacon alert. The crew was able to locate the man after he fired off a flare and hoisted him up into the helicopter. The Coast Guard reported that the fisherman did not suffer any injuries and praised him for taking the proper safety precautions. Coast Guard aircrews rescued three people including a minor from an oil platform Saturday after their boat capsized, officials said. About 10 p.m. Coast Guard responded to a call from a man who said he and two others swam to a platform after their boat capsized. Coast Guard dispatched a helicopter crew to assist in the rescue, officials said. The three people were not injured and were taken to shore. Coast Guard officials encourage everyone to check the weather forecast and prepare with appropriate equipment, have enough life jackets for everyone onboard and always carry a radio to call for help as weather continues to be unpredictable, officials said. Three recreational divers became stuck out at sea and had to be rescued by the U.S. Coast Guard, officials said. A woman aboard a boat called 911 about 8:40 p.m., saying her husband and his two friends were out in the water waving their arms and calling for help. The men could not see the shore because they were too far out. A Coast Guard helicopter as well as two boats responded to rescue the stranded men. At 9 p.m., units at the scene advised everybody was accounted for and OK. The men were diving when the current pulled them farther from their boat than expected. Crews were able to spot the divers because of fluorescent lights on their suits. Rescuers pulled the men aboard a Coast Guard vessel and took them back to their dive boat. “We wouldn’t recommend people go out there if there’s a possible hurricane or tropical storm looming,” an official said. The Coast Guard rescued two men whose boat became disabled. Coast Guard Station personnel were notified around 10:45 a.m. that an 18-foot pleasure craft had lost power with two men aboard. The station launched a 45-foot Response Boat-Medium crew around 11 a.m. to assist the men. The boat was towed and moored around 12:45 p.m. at the marina. A news release from the Coast Guard said there were no reported injuries or pollution. 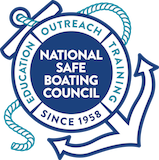 “Now that boating season is ramping up, it is a good idea to double-check your boat’s batteries and fuel quality before heading out on the water,” said a Coast Guard spokesman. A sailor stuck in a damaged boat 30 miles off of the state park was rescued by San Francisco Coast Guard crews, officials said. A distress alert came in around 7 a.m., and an aircrew at the San Francisco station lifted off about half an hour later. It took 40 minutes to find the boat, which officials said was 30 miles off the State Park. The boat was facing 40- to 50-knot winds and 15- to 20-foot seas with a damaged marine radio and a mainsail that was ripped apart and wrapped around the mast, officials said. Only the boat master was aboard his vessel. A rescue swimmer swam out to the vessel and boarded, and then the crew hoisted the swimmer and the man up to a helicopter, which they caught on video. The sailor was not injured, officials said.